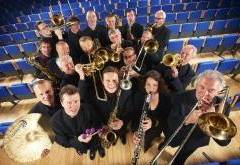 The BBC Big Band performed to a sell-out audience at the Lichfield Garrick Concert Hall on 10th November. 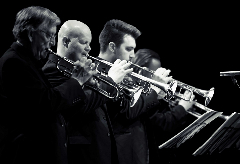 The 17-piece orchestra, led by conductor Barry Forgie and featuring guest vocalist Jeff Hooper, presented their 'Swing Legends' concert programme - celebrating the music of the likes of Duke Ellington, Count Basie and Glenn Miller - alongside classic vocal numbers made famous by the likes of Sinatra and Bobby Darin - all performed in the BBC Big Band own inimitable style. The internationally renowned BBC Big Band and special guest vocalists celebrate the centenary of the Queen of Jazz, Ella Fitzgerald in 2017. Honouring the career of the “First Lady of Song” this very special concert will take a look at the life and legacy of singer who would go on to become one of the most revered vocalists of all time.